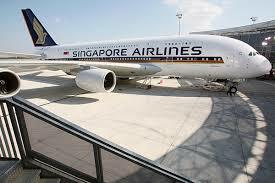 The State government of Andhra Pradesh has announced the direct flights between Vijayawada and Singapore. The government initiated the process of engaging an airline that could operate services on behalf of the Andhra Pradesh Airports Development Corporation Ltd (APADCL). To assess the demand for the route, the APADCL had gathered response from the public for 10 days recently. The result, as quoted in the request for proposal (RFP) for ‘Selection of airline operator to provide flight operations on Vijayawada-Singapore-Vijayawada route’ called on Tuesday by the APADCL, says 86,752 persons were interested in flying the route. The government has already considered operating services by roping in Singapore’s SilkAir which was discussed by both the governments here recently. Explaining why the State government was going on its own, APADCL Chief Executive Officer Virender Singh said that the central government has so far not approved inclusion of the Vijayawada airport in the bilateral air service agreements. We are still pursuing it and even the Chief Minister wrote letters to the Centre but there’s no positive response. The APADCL puts the onus of acquiring all permissions and approvals from the Centre on the airline. The operator concerned has to get the Non-Scheduled Operator’s permit and other approvals. The city airport, which was given international status in 2017, is now equipped with all infrastructure and facilities to serve international traffic. The immigration post and facilities have been established and staff allotted recently. The customs wing is likely to operate soon, according to airport officials. Dubai’s Emirates airline has applied for slot allocation. According to airport Director G. Madhusudhana Rao, it may be granted permission after a meeting on bilateral agreement by the month end.